Home > Silver Articles > Why Invest In Silver? 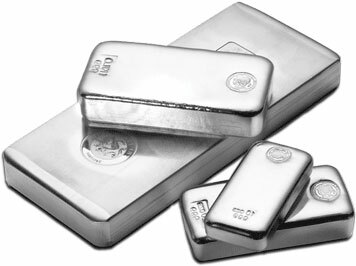 It Has Real Value – while the value might fluctuate, silver in itself holds value. Coins Are Fun – Most of older coins are made from 90% silver (pre 1965). Enjoy Storing Wealth – Having a small stash of bullion or silver coins is enjoyable. If you are feeling down and possibly worthless as many of us in these poor economic times do, a visit to your silver pile might just cheer up your day. Your Heirs Will Love You – Having a few coins or small 5 or 10 oz bars of silver divvied up in your will doesn’t cost much. These are just a few reasons to include silver in your life. If you can think of any more please post in the comment section below. Just don’t spam us with any links we’ll just delete your post before it goes live.